Lady lions calling the lines, teachers calling the game, while junior and senior boys flail across the court playing volleyball in uniforms that are only recognizable as such by being equally ridiculous. 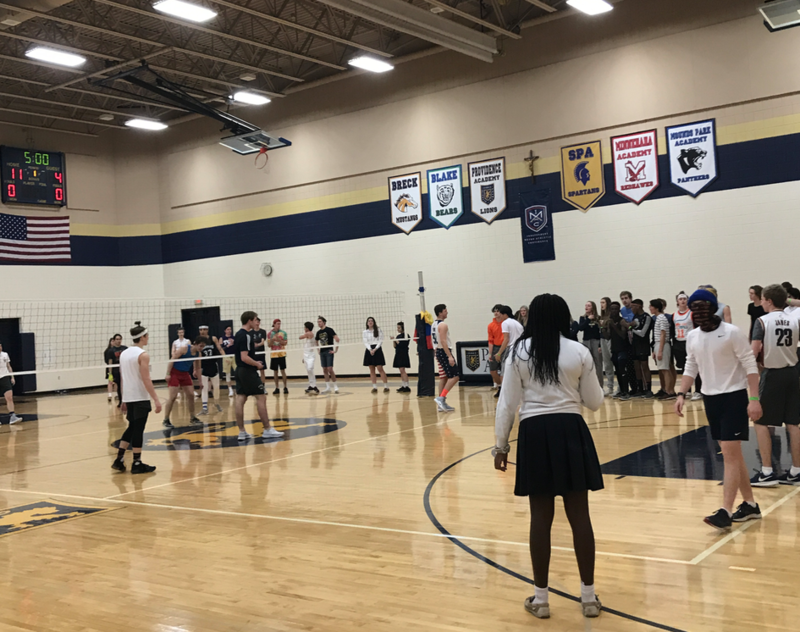 A favorite event of catholic Catholic Schools Week–and a recent sight for those of us who attended last week’s Powerpuff game–this battle between junior and senior boys is perhaps most competitive because the players are equally inexperienced. That lack of experience, made up for by effort, enthusiasm, and absurd ensembles is what makes the game so fun. However, the boys didn’t go into the game completely clueless. Junior and senior girls volleyball players coach their corresponding grade. Kate Neill 20’ said her experience as a coach was “very entertaining but also very frustrating and difficult because they have no idea what they are doing. In the end, it was so much fun and I’m already really excited for next year’s game”. The game was much anticipated by the entire high school, especially the players. Sam Ferreira 19’ said “I was super excited to play with my friends and be able to participate in a sport that I don’t normally play. Obviously, all the hard work paid off because in the end we beat the juniors”. Set 2 of the volleyball game. The seniors are up 11-4 and the Juniors are substituting new players onto the court. Similarly, George Wehmann 20’, mentioned, “It was exciting for me because I’m tall and love competing against the seniors.” He then continued to say, “I am disappointed that we lost but it was still very fun”. 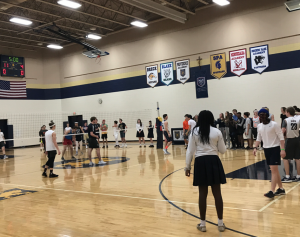 Some suspect foul play, that an unspoken rule at PA guarantees seniors a win in both the girls’ powerpuff football game in the fall and the boys’ volleyball game. Juniors, logically, are opposed to the idea, but others say it makes sense and should remain a rule. Eli Santelmen 22’, an underclassmen who watched the game, commented, “I think it’s a little fair for the game to be rigged, it makes it more fun for the seniors since it’s their last year, but at the same time the juniors should have a chance”. 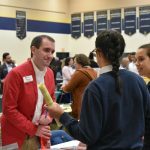 At the end of the day, the seniors took the win and marked another fun event for PA’s [extended] Catholic Schools Week. With the creative and obnoxious outfits, chants from the crowd, lots of yelling and cheering from each team, the powerpuff game will continue to be an event that the high school students and faculty at PA love. Girls’ Volleyball, Can You Dig It?